Q) For members who don’t know you tell us a bit about yourself? A) I live in Camberley with my husband Keith and this summer we celebrated our 40th wedding anniversary; Keith doesn’t run…he cooks my dinner while I shower and that is the secret of a happy, long running marriage! We have a grown-up daughter and son and now we have three Granddaughters aged 6, 2 and 6 months; I look after them during the week so I have to keep on running just to keep up with them! Q) How and Why did you get into running? A) Ten years ago my mother was diagnosed with vascular dementia and I became her main supporter. Her incapacity made me look at my own health and I found my way to the Arena Leisure Centre where I still do Spinning, Pilates and Yoga classes. They suggested running with a Club and I found the SJs website which attracted me to joining the Club. I lost 3 stones, became stronger and energetic, learned to manage my time better…and become a Real Runner! Q) What do you enjoy most about being a member of SJs? A) SJs are fully inclusive and that is what I love most about being a member. The Club welcomes everybody of all speeds, sizes, ages, pace, shapes etc etc to all from their very wide range of sessions, events, celebrations etc etc. I feel very comfortable just being with other SJs and every time I run with them I am a Winner. In 2015 I was ‘Most Improved Runner’ and presented with a trophy at the Ball-a delightful surprise! Q) On which of the weekly runs are we likely to bump into you? A) You won’t bump into me because you will hear me running up behind you – it seems I am a heavy breather! At present I run the Monday Night Club Run, Tuesday Intervals and Saturday Parkrun. My lungs work very hard at these sessions and I manage to keep up at the back! 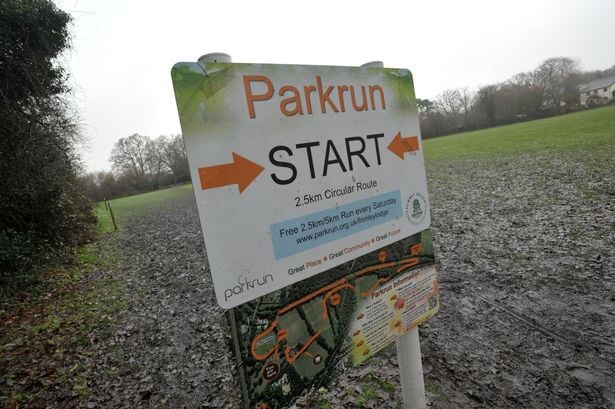 Q) What’s your favourite Parkruns and why? A) Frimley Lodge is my favourite for Running and Volunteering because it is very local and I can be home by 10.15 ready to start my relaxing weekend. Having reached 150 I have put away my red and black T-shirts and ordered my Apricot Tee. I love the route through the trees and alongside the canal and it’s a joy to feel them change with the seasons. The organisers have created a very uplifting atmosphere…and they like cake so my homemade bakes go fast too! Q) what else is on your running Programme for the rest of 2017 and 2018? A) I tend not to do other events simply because Keith and I like to spend our weekends together at home…but I always have future running ambitions; I intend to run for Dementia UK at sometime in memory of my mother who died earlier this year. Also, I want to beat my Parkrun PB before March next year when I will have my 60th Birthday Cake. I feel now is the time for me to put in some extra effort and with the consistent, amazing support of the SJs I believe I could actually do it!